Once a reader latches on to a series, they typically remain loyal to both that series and its author. Essentially, this means journeying with a series through the highs and the lows – often beyond the point where everyone involved knows that perhaps it is time for the series to end. And yet, amongst a collection of series, there are those few gems that continue to improve book after book; series readers hope will never end. Linda Castillo’s Amish-themed Kate Burkholder series is a perfect example of that latter category. 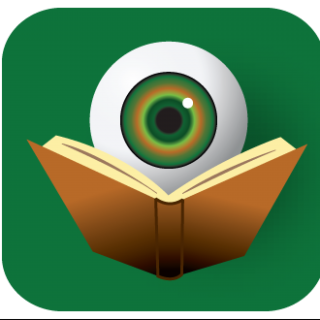 Down a Dark Road is the ninth full-length novel set in Kate Burkholder’s world; there are also several short stories detailing activities and cases that arise between some of the books. Within Painters Mill – and surrounding environs – Linda Castillo has crafted a group of characters that fans consider family members and visiting with them each year is always a joy. In Down A Dark Road, Kate becomes entangled in a case involving someone from her past. When they were young, Kate and Joseph King lived close to each other. They had a friendship and Kate even had a childhood crush on Joe. As they grew older, they lost touch. Several years ago, Joe was changed and imprisoned for killing his wife. Despite the overwhelming evidence, Joe has always maintained his innocence. Now, two years later, Joe has made a daring escape from prison and heads to Painters Mill to reunite with his family. By taking his five children and Kate Burkholder hostage, he feels he can convince Kate to take another look at his case. Joe claims there was a witness that night – his youngest daughter who was three-years-old at the time. Like most law enforcement, Kate knows that a witness this young is unreliable to say the least, but knowing Joe’s history, she never really believed he could have committed the crime for which he was accused. After Kate is able to secure her own release from the hostage situation, the remainder of the novel documents her investigation into this older crime. Defying her superiors, who would rather she just let the matter rest, Kate digs into the secrets of the King family. Kate is nothing if not loyal and being around Joe has brought back memories from her past. One of the most successful elements of the series has been the relationship between Kate and John Tomasetti. Their bond has never followed the easy path and in this novel, Linda Castillo highlights another possible fissure. 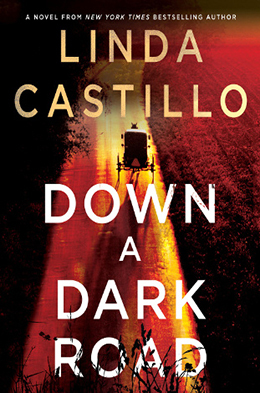 What is so unique in Castillo’s writing is that she refuses to go the clichéd route with their relationship and here again, Tomasetti’s reaction to events remains faithful to a character readers have grown to love. Down a Dark Road is a highlight in a series full of highs. Even though they are a peace-loving community, Linda Castillo somehow manages to find realistic ways to bring crime to the Painters Mill Amish congregation. Let’s hope that never changes. Disclaimer: A print copy of this title were provided to BOLO Books by the publisher. No review was promised and the above is an unbiased review of the novel. A brilliantly inspiring review with just the right amount of information. I must say I am intrigued at a series that can keep going through nine books. I will read the only question is whether I start from the beginning or number nine and then go back to the beginning. Honestly, LaDonna this is such a well-written series, you can jump in at any point and Linda does a great job of orienting the reader. Obviously, each book has it’s own criminal case, but they are never spoiled in later books. That said, the relationship between Kate and Tomasetti – the strongest element of the series, the glue that binds it, does evolve over the course of the series. There was a well-done television movie of the first book, so if you can find that, it is also worth seeing. (Lifetime TV, I believe).